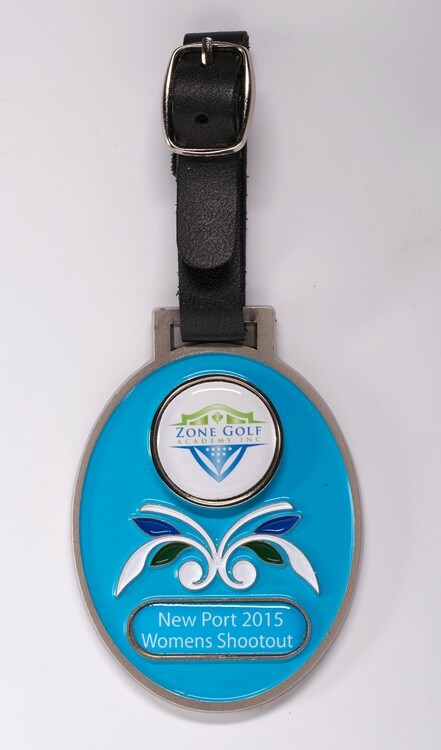 Impress your team members with our new oval tag identifiers for the ladies. 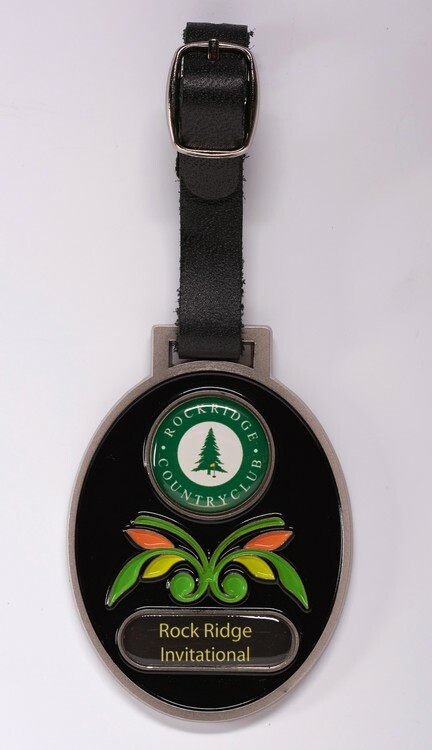 These colorful antique silver metal finish bag tags in black, teal or pink will surely excite any event participant. 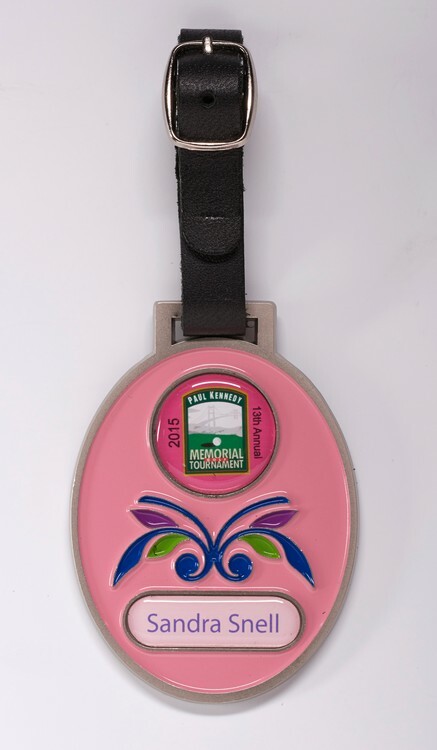 Personalize with an individual or event name (call for pricing). Full grain leather strap included.